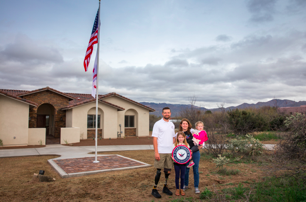 CARLSBAD, CALIFORNIA — U.S. Army Sergeant First Class Caleb Brewer was stationed in Afghanistan in December 2016 when his team conducted a large-scale clearing operation and an improvised explosive device (IED) detonated beneath him. As a result of the blast, Brewer suffered from bilateral leg amputations and severe infections, blood clots, and blood loss. Yet despite his injuries, just three months later Brewer was walking on his new prosthetic legs, eventually re-learning to surf, run and rock climb. When the Gary Sinise Foundation’s R.I.S.E. 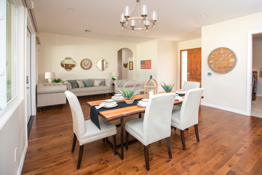 (Restoring Independence, Supporting Empowerment) program learned about Brewer’s service, they decided to honor him and his family with a specially adapted smart home in Tucson, AZ, equipped with technology solutions by Nortek Security & Control. One ELAN gSC10 controller serves as the brain of the system, and is accessible through an Apple iPad installed on a Launchport™ docking station on his wheelchair; three ELAN HR30 remotes; and two ELAN 7” touch panels installed below switch height. In addition to instant control, JL Automation configured automated scenes to make living even easier for the Brewer family. Vantage Motion Detectors were integrated into the ELAN system and programmed to automatically turn on when Brewer moves through certain areas of the house, eliminating the need to turn on the lights when he enters the room. In addition to convenience, home security was paramount for the Brewer family. JL Automation added a 2GIG system, accessible through a GC3 panel, along with two 2GIG keypads, and seven Z-Wave Door Locks. 2GIG integrates directly with ELAN so that security seamlessly ties into the entire smart home infrastructure. Fusing convenient control with a seamless entertainment experience, JL Automation also designed a multi-room audio system with an ELAN S1616A Audio Controller, dozens of SpeakerCraft in-ceiling speakers, and several Sunfire Subwoofers throughout the home. SFC Brewer and his family can instantly fill every room with sound, and change a song directly from the ELAN interface. 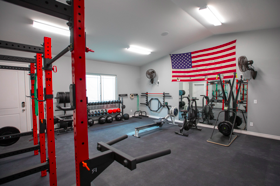 Because Brewer relies on all of the technology in the home, JL Automation made sure that it was equipped with a Panamax® M4320-PRO power conditioner with BlueBOLT® remote energy management. “When technology is this important to someone’s everyday life, it’s absolutely necessary to protect it from any power-related issues,” Lunt commented.